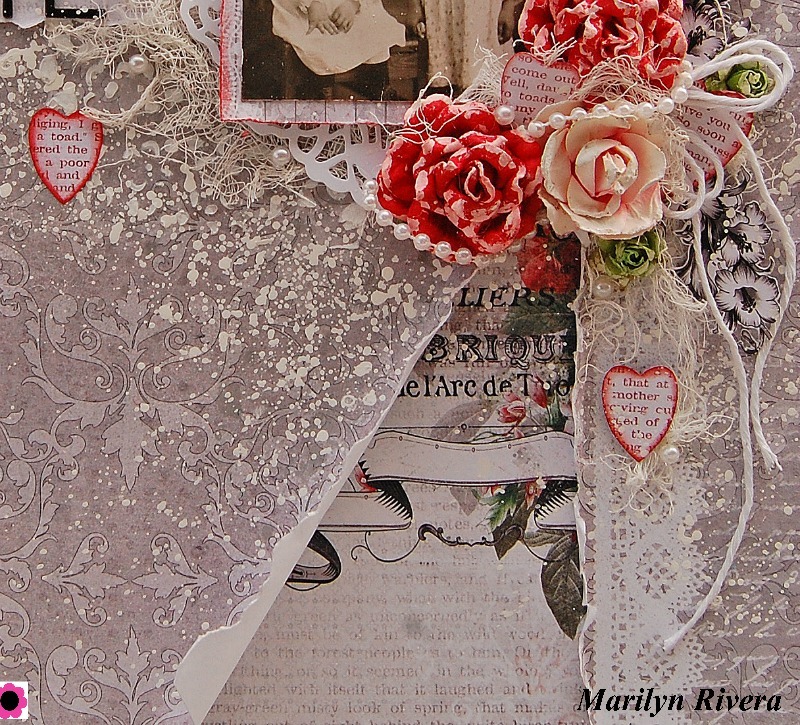 I tear the Scrapberrys papers to create a similar design to the sketch that you can see in the next picture down, then I gave textures with the kit' stencil by Prima and modeling paste. I cut out some frames and flowers from the papers to embellish the page. 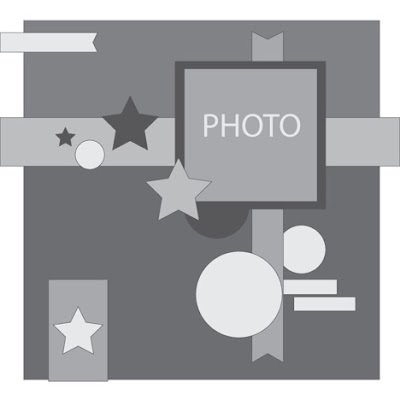 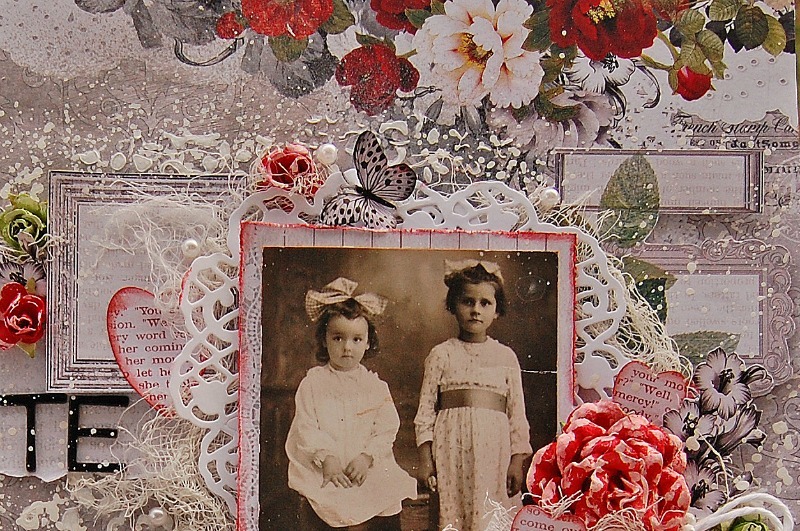 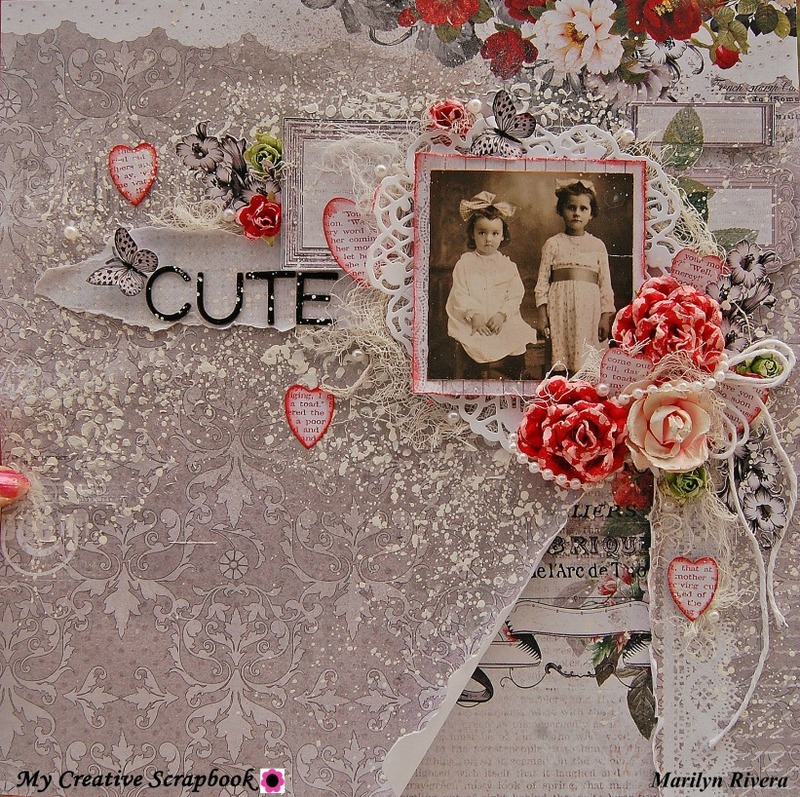 The photo is a card idea-ology by Tim Holtz from my stuff. 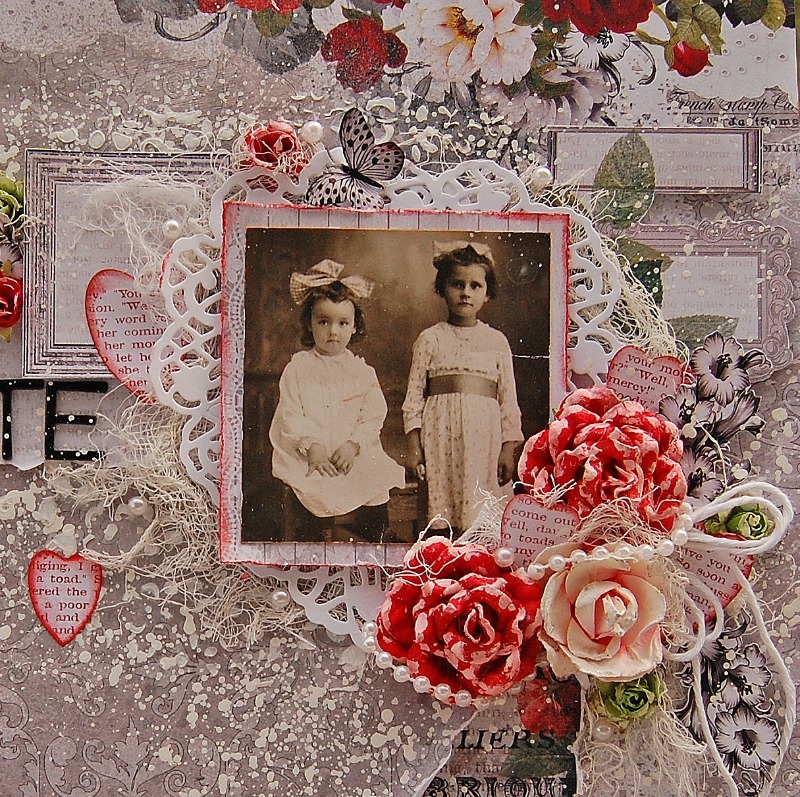 I made the flower cluster with the different Blue Fern Studios flowers from the kit. 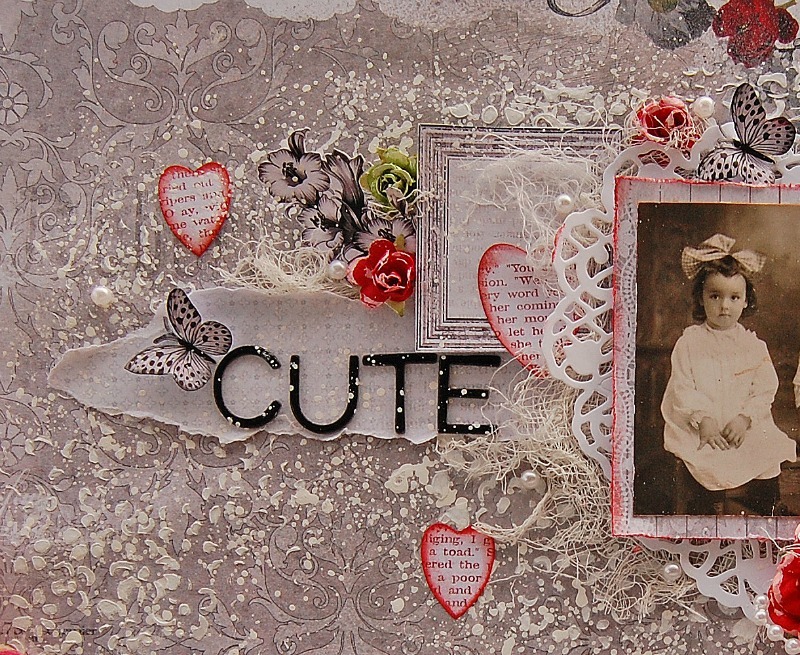 I cut with a die some hearts from one of the papers and mat the photo with a piece of cheesecloth. Oh wow, how gorgeous is this! 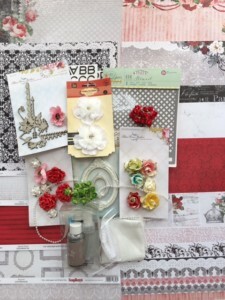 You simply rocked this ScrapBerry's collection!